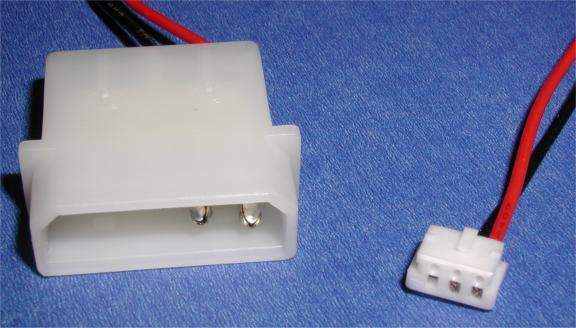 A Cpu Fan Adapter Cable. Very Popular on Intel Fans, and Fans on High End CPUS. This cable usually attaches directly to the fan assembly. 3 Pin to 4 Pin Case power supply. CPU RPM Monitor is ignored.